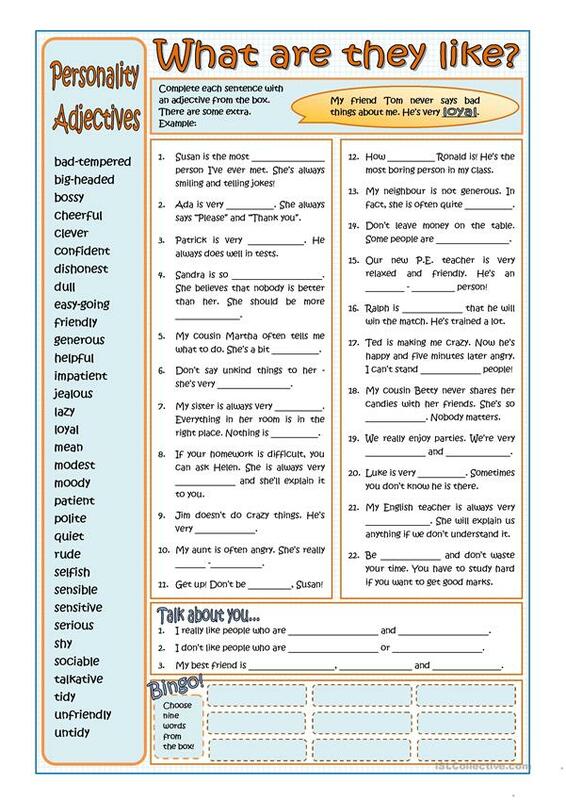 Fill in the gaps exercises and speaking activities about personality adjectives. Key provided. The above downloadable teaching material is a great resource for high school students at Pre-intermediate (A2) level. 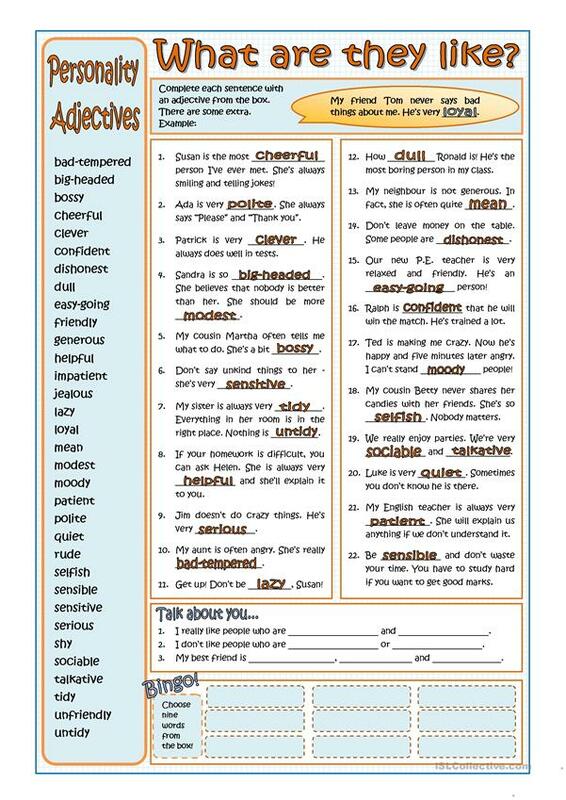 It is a useful material for teaching Adjectives and Adjectives to describe personality and character in English, and is a valuable material for working on your class' Speaking and Reading skills. It is about the vocabulary topic of People. You will find the key at the end of the worksheet.